Hello guys, I have a good news; those of you that have their money stocked on opera news app for the past few days should now cash out ASAP! This is because Opera has fixed the issues with airtime purchase on the platform. Recently, I posted on my ordeal of not being able to buy airtime from my Opera News Referral Bonuses I got. In fact, I had about 3,000 Naira airtime stocked on the platform since 2 days ago. Not just me but others also complained about the same cash out issues. Before now, when you try buying airtime, you will see error message stating "airtime purchase failed" and it made many people thing that the promo was scam but I think Opera has realized and fixed the mistake or will I say error. This morning, when I tried my luck to see if i can withdraw, viam.... It was successful and I text some of the people that contacted me and complained about it, they all successfully withdrew theirs. 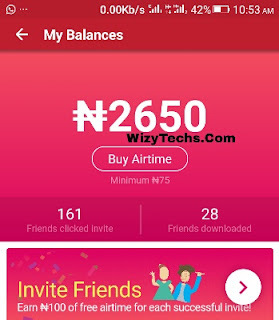 For those of you that are still not understanding this or are new to this opera free airtime stuff via referrals, I urge you to read this post now on how it works and how you can also earn your unlimited airtime free of charge. Still having issue to recharge. Showing failed.